Eating a high-fiber diet is linked with a reduced risk of colorectal cancer, according to new research that analyzed 25 different studies. Total fiber intake, as well as fiber from whole grains and from cereals, was most strongly linked with a reduction in colorectal cancer risk, the researchers say. The evidence was weaker for fiber from fruits, vegetables, and legumes, says study researcher Dagfinn Aune, a research associate at Imperial College London. "It doesn't mean you shouldn't eat your fruits and vegetables," he tells WebMD. He found fewer studies on the impact on colon cancer risk of fiber from fruits, vegetables, and legumes than studies looking at the other foods, he says. "It's possible that we did not have enough statistical power." He says, too, that the study looked only at the effect of fiber. Overall, the link found between fiber intake and risk reduction was small. Aune's team found a 10% risk reduction in colorectal cancer for each 10 grams of fiber eaten a day. However, the more fiber people ate, the more risk reduction was found. The experts found an association, not cause and effect. The report is published in the online edition of BMJ. More than 141,000 new cases of colorectal cancer are expected in the U.S. this year, according to the American Cancer Society. Total dietary fiber and whole grains have already been established as protective against cardiovascular disease, the researchers write. However, the link with colorectal cancer risk reduction is not as convincing, Aune says. So his team combed through the medical literature. They found 25 scientifically sound studies. They analyzed the data from all of them. They compared groups from the studies with the highest intake of fiber daily with groups with the lowest intake, Aune tells WebMD. The amount of fiber eaten by those who had the highest and lowest levels varied from study to study. When the researchers compared groups with the lowest fiber intake with those who ate more, they found each 10-gram a day increase in total fiber and cereal fiber was linked with a 10% reduction in colorectal cancer risk. The protective effect was seen no matter what the starting point was for fiber, he says. "If you have a low intake, like 5 grams a day, and increase it to 15, it will have an effect, too." In terms of risk reduction for colorectal cancer, however, he says, the more fiber, the better. Adding three servings, or 90 grams a day, of whole grains was linked with about a 20% risk reduction. That's a lot of fiber, the equivalent of 6 cups of lentils. In the U.S., women are advised to eat about 25 grams a day of fiber, men about 38 grams. 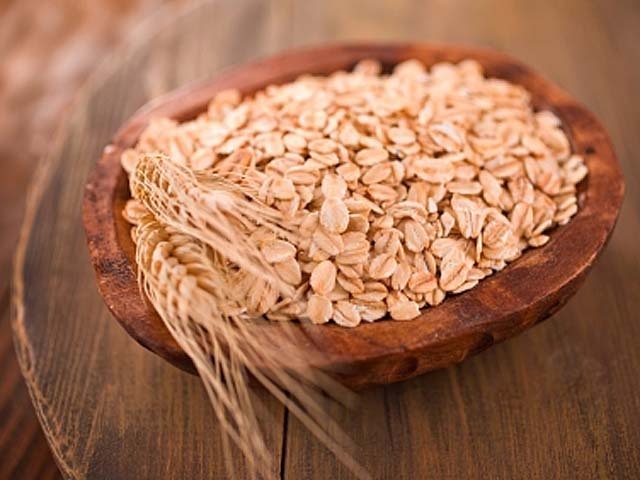 One slice of whole-wheat bread has about 2 grams of fiber; a cup of oatmeal has 4 grams. Experts are still debating exactly how fiber might reduce colorectal cancer risk. "We don't know for sure," Aune says. One possibility is that the fiber may reduce risk by reducing the ''transit time" of food products in the digestive tract. The fiber may also dilute carcinogens in the colon. "There are a few things that are important for people to understand here," says Lona Sandon, MEd, RD, assistant professor at the University of Texas Southwestern and a spokeswoman for the American Dietetic Association. She reviewed the findings for WebMD but was not involved in the study. "Colon cancer does not happen overnight," she says. It can take many years to develop. "So starting to eat whole grains in your 50s may not prevent colon cancer in your 60s." "A poor diet is not the only reason colon cancer might develop, although it may encourage its growth and spread," she says. Other triggers for colon cancer, she says, include chronic inflammation, such as having inflammatory bowel disease. "This does not prove cause and effect," she says of the study. Even with the caveats, however, Sandon says the message is simple: "Eat more whole grains." While not all the answers are in on how they might reduce colorectal cancer risk, they and other sources of fiber have other health benefits. SOURCES:Aune, D. BMJ, published online Nov. 8, 2011.Dagfinn Aune, research associate, Imperial College London.Lona Sandon, MEd, RD, assistant professor, University of Texas Southwestern Medical Center, Dallas; spokeswoman, American Dietetic Association. © 2019 WebMD, LLC.. All Rights Reserved.